Watchmen, the seminal graphic novel by Alan Moore and Dave Gibbons, appears on Time magazine’s 100 Greatest Novels of the 20th Century list. In 2009, The New York Times began publishing a graphic novel bestseller list. The same year, Heath Ledger wins an Oscar for his portrayal of The Joker, Batman’s arch-enemy, in Christopher Nolan’s The Dark Knight. The comic book, long considered a disposable object exclusively for children, is finally getting some respect. Further validation for the art form can be found on college campuses, where graphic novels are becoming an increasingly common part of the curriculum, including at Grand View University in Des Moines, Iowa. Matt Plowman, Grand View’s associate professor of history, first experienced comics in the classroom at another institution as part of a critical thinking class on the Holocaust. 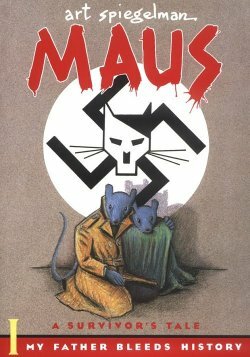 Plowman said one of the most powerful texts the class read was Maus by Art Spigelman, a graphic novel about Spigelman’s father’s experience in a Nazi concentration camp. 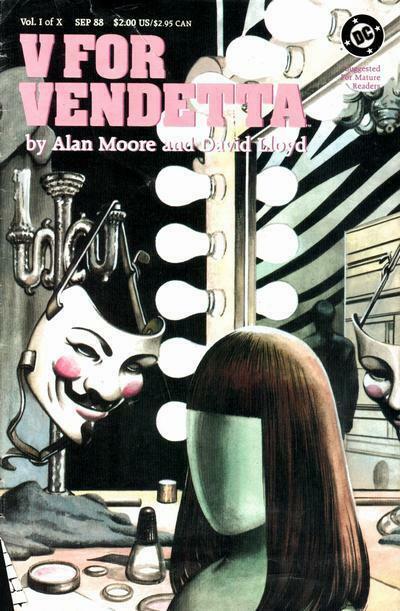 Later this semester in his European Cultural & Intellectual History class, Plowman will be using V For Vendetta by Moore and David Lloyd, a graphic novel about an anarchist’s war against authority in a near-future totalitarian England. Plowman said he picked V For Vendetta partly because of the students familiarity with the story from its 2006 film adaptation. Kevin Gannon, professor of history at Grand View, said he’s always been intrigued by the use of graphic novels in class. 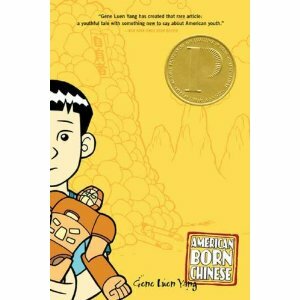 Two years ago, Gannon took part in a summer reading program for the Grand View freshman class that used Gene Luen Yung’s graphic novel American Born Chinese. 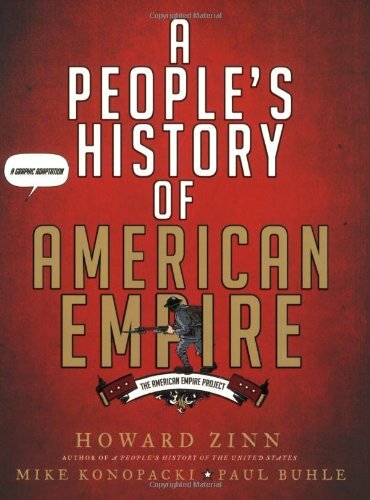 This semester, Gannon is assigning A People’s History of American Empire, a graphic novel that adapts writings by radical historian Howard Zinn. Gannon said students have responded to the text enthusiastically. “For me personally, a graphic novel fits right in with the way I structure my courses and what I want students to be able to do with the texts that we read,” Gannon said. Other Grand View instructors utilizing comics include Ken Jones, who assigned the zombie apocalypse story The Walking Dead in his Introduction to Ethics class this semester and Jim Whyte, who has given students the task of creating their own comics in his Principles of Management class. Gannon said he sees the use of graphic novels in his class as a way of expanding his students’ ideas of what materials can be used in the classroom environment. 2 FREE GOLDEN VEINS SONGS! A lot has been happening lately, and we wanted to fill you all in. First off, the Golden Veins Singles Club (http://www.goldenveins.com/singlesclub.html) is about to begin. On September 14th, the first of 12 “digital 45s” will be released, with a new single coming out each subsequent month for a year. These digital singles contain an A-side and a B-side, as well as a remix. They will all be available for download individually as they’re released. However, joining the Singles Club offers even more material (plus it’s cheaper). There are 4 levels of Singles Club membership, ranging from digital downloads of all 40 (at least) songs ($10), all the way up to a package which includes t-shirts, cassettes, LPs, personalized songs, and more (limited early bird price of $55). For more detailed info on the club, please visit http://www.goldenveins.com/singlesclub.html. Even more exciting than finally releasing material is that we’re giving away the A and B-side from our first single, “Gravitational Collapse”. Our first A-side, “Gravitational Collapse” is the aural equivalent of being lost in space – simultaneously ethereal, melancholic and exuberant. And there’s a whistling solo. The B-side, “Carcinogenic Kiss,” is a robo punk-funk kiss-off, which begins with bile and ends in tears. To download these tracks, just go to http://www.goldenveins.com/gifts.html. And while at the site, you can also hear the 4 remixes (by Adam Robert Haug, Mil, and Matt Bad) that are included with the “Gravitational Collapse” single, as well as aural teaser trailers for the first 12 songs, so you can get an idea of what’s to come. That’s all the news for now, but there’s new work being done as I type this, so expect more emails in the near future! Thanks for being rad dudes! ps- artwork for “Gravitational Collapse” was created by UCIEL. time for an update! here are the most important things of the day (if you happen to be looking at the world through a kaleidoscope, like i am). ONE: corgis on a treadmill? why??? check out this adorable video. i know there are really only two corgis…but are there really only two corgis?! YOU decide! TWO: iowa contributes to national news? this is definitely newsworthy. iowa state used their carillon to play lady gaga’s BAD ROMANCE. the video is over five minutes long (which may be longer than the actual song), so don’t waste your time watching it. just revel in the fact that iowa is once again leaving its mark on this amazing nation. THREE: angry man tries to pay his property tax with 33,000 pennies. i love this story so much, but that’s really all there is to it. he went to the treasurers office and tried to pay his $330 property tax, in pennies, but was DENIED. justice? where is the JUSTICE? if you want to read more about this amazing story, check it out here on gawker. FOUR: oh my godddd, can you even handle this photograph? i love this so much, mostly because of this quote: ‘once the shock wears off, i’m sure she’ll say yes.’ yeah? are you sure? who is this guy anyway? it doesn’t matter. anyway, in reference to this photo, i say mostly because let’s not forget his amazing pants, tan, or tattoos. his dead stare makes me wish he was asking me. but i digress. FIVE: this faaaantastic gem of a german man, thilo sarrazin finally broke the silence about jews, and said that ‘all jews share a certain gene.’ yeah? cool! maybe we should put them somewhere where they can all be together, comfortably. maybe…in a…camp! sorry thilo, someone already thought of that. read more on that here. well, that’s that! see you next week for news with natalie! This will be a quick post, but I promise to be back with something much more interesting in the near future! this is the first track from the first full length – “A Sense Of Urgency” (buy it here or on itunes). this album was initially started way back in december of ’06, when we began slowly (very, very slowly) recording bits and pieces of songs that we had previously written or were currently working on. i don’t remember exactly when this song was introduced to the band, but i feel like it was within the first 1o or so songs we worked on. the demo, like most of the early songs, was written and recorded by uciel on a digital 4-track. he then gave it to greg, who worked up some vocal arrangements. from there, it was laid out for ryan and myself to have our way with. as you can hear, the basic structure never changed, but many things were added, driving the song in a MUCH different direction than where it was originally headed. the recording of this song started, like usual, with the drums. i can’t remember what mics we had at the time, so i won’t talk about mic placement or anything, however, i do remember that this is one of the tracks from a session where i refused to mic the toms. because of this, the drum mix obviously focused on overheads and room mics. the drums were played, multiple times, start to finish along to a predetermined click track. interestingly enough, after all the effort, there’s only one section of the song where we actually kept the real drums. i’m assuming the next thing to be laid down would have the bass, as that’s how we did most of the album. we would get the bass and drums really tight and then layer everything on that foundation. guitars would have been next, and i don’t know the effects chains for any of these parts, as i didn’t play any of them (you’d have to ask ryan and cecil), but all said and done, we probably have 5 or 6 rhythm guitar tracks going on. greg then recorded the vocals on top of all this. we have two vocals going on the verse, paned to the left and right, with a handful of effects on each. again, most of this was done on the fly without a lot of planning, so i don’t have notes about what effects in what order. i will try and do better with my note taking in the future! i know that the solo on the bridge was added later, as there was never originally a solo there. ryan came up with it one day while listening to an initial rough mix and we threw it in cuz it sounds rad. he also wrote and recorded a couple of cello parts for bridge. and speaking of the bridge… that’s the one place where we kept the original, live drum part. however, i ran it through the vocoder of a microkorg which i had programmed. i also manipulated it in real time to make it more interesting. the rest of the drums were later programmed using multiple instances of fxpansion’s BFD. the beat is almost identical to the live version, just not actually live, and some of the verse drums were run through effects. i can’t remember the chain, but obviously there’s some delay and filters. i think i tried another vocoder as well. at this point, we could have been done… but NO! ryan stole a giant old box fan from his parents and we sampled it, processed it, and layered it at the beginning and end of the tune, along with some other machinery and noise. we also used battery to put in some samples of marching and metal pipes during the chorus. you know… the usual. So here’s a respite from video game and Batman-related posts: a short movie made by myself and my good friend Ryan Ingram, waaaaaaaaaay back in 1999. Ten years! We made this during one of the very slow nights we had working at the Carmike Cinemas Fleur 4 Theatres in Des Moines, Iowa. Now known as the Fleur Cinema & Cafe, the theater shows …. But back in 1999 the Fleur was on its last legs, having recently become a discount theater due to the opening of a multiplex close by. The next year it would close, only to be reopened as an indie theater a couple years later. Thanks to Ingram for the upload! The track, “Detonated City (Skeletal Steel Mix)”, is a remix we did of an Aeon Grey song. You can find the original version on “Quid Pro Quo” as well! 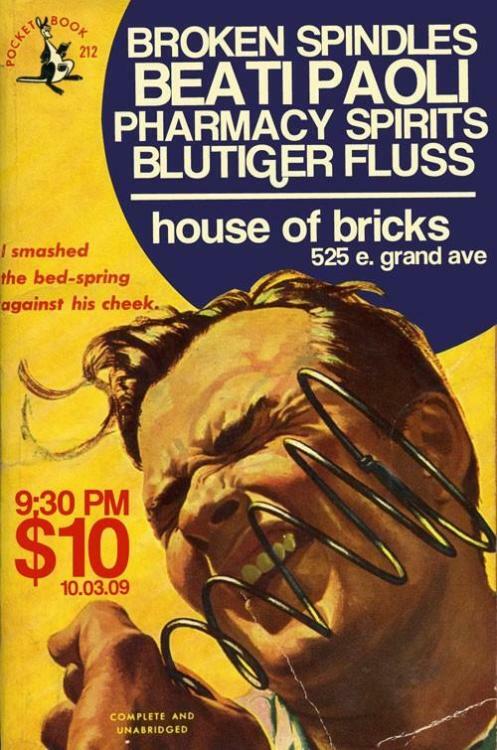 Finally, in other news… we are playing a show on Saturday (Oct.3rd) with Broken Spindles, Pharmacy Spirits, Blutiger Fluss. It’s gonna be a good one, I think!!! After this show, we’re gonna go hibernate like the mighty grizzly. However, unlike that unproductive waste of space, WE are going to be recording like CRAZY and will have a new album or two by the time the ground thaws. Don’t worry, though, we’ll be keeping everyone up to date with what’s going on during this time. Here’s the flier for the show on Saturday, see you all there!